Throughout recent years if you have wanted to purchase an American-built pickup truck you have had three options: a Chevy truck, a Ford truck and a RAM truck. However, for a while, there was another choice – a Jeep. Yes­, From 1947 until 1992, Jeep was a big manufacturer of pickup trucks and they were quite popular. As we mentioned above, Jeep manufactured pickup trucks from 1947 until 1992. Willys-Overland Jeep 4×4 Truck was manufactured from 1947 until 1965. One could purchase it in 1-ton pickup or ½-ton panel-van forms. It was a simple truck, and powered by an L-head four-cylinder engine that produced 63 horsepower. We also had the Jeep FC (Forward Control) Series, produced from 1957 to 1966. This truck offered a dualie rear axle. In the early 2010s, Jeep created a Mighty FC concept vehicle. Then there was the Jeep Comanche produced from 1986 until 1992 that was a regular-cab pickup an available roll bar. These are just a few examples of what Jeep has already produced, and why people are so excited about this new Jeep Wrangler pickup! Knowing that the demand has been there, Jeep has teased us for quite a while about how another Jeep pickup truck is in the works, and it turns out that the wait is about to be over! While Jeep definitely contemplated launching this truck as a standalone model (as in not a Wrangler-based vehicle), the decision was made to use the Wrangler’s long-wheelbase version, fit it with a pickup bed and add other extra features. Jeep enthusiasts will notice that it resembles the old CJ-8 Scrambler that was built in the 1980s. 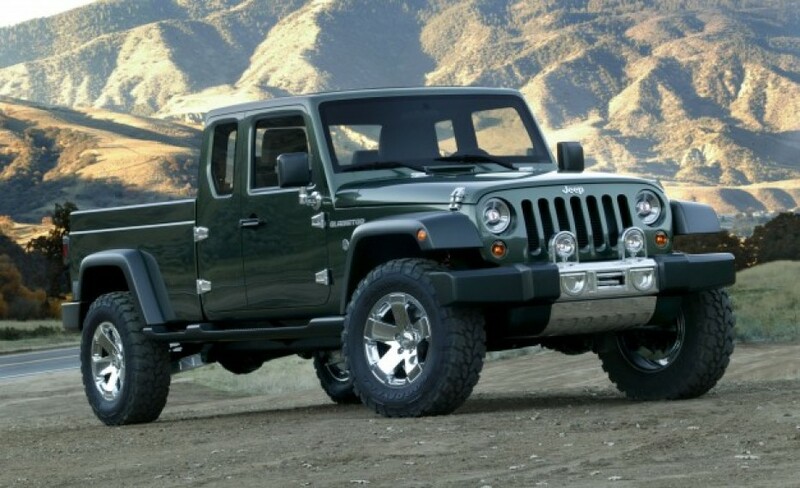 Marchionne and Manley say that Jeep’s upcoming pickup will be built alongside the Wrangler’s next generation in Ohio. The Wrangler is expected to bow in late 2017, and the pickup’s scheduled to arrive before 2018’s end. Journalists insist that the new Wrangler-based pickup will be incredibly popular. Jeep enthusiasts are a loyal lot and have tend to stay with the brand. For those who currently own a Jeep product and are looking for a pickup truck, this new Wrangler truck will be a vehicle they seriously consider getting.